When Marti Epstein was a teenager, she got an invaluable piece of advice from a teacher at her Omaha high school. Epstein, by then a talented pianist and clarinetist, wanted to major in music when she went to college. But the band director, Steve Lawrence, who also taught music theory, cautioned her that “there are an awful lot of really fantastic pianists and clarinetists, and it’s very competitive. Maybe you should think about doing something more unusual,” as Epstein put it in a recent interview. Something that would also use her proficiency in theory, which he’d noticed. Like, perhaps, composing. Kids can be both prickly and protective of their identities at that age, and it wouldn’t have been surprising if Epstein had taken Lawrence’s suggestion as discouragement, or ignored it entirely. Instead, she took it in the spirit in which it was meant, and began taking monthly composition classes at the University of Nebraska, and that was that. “It found me, I guess you could say,” Epstein said. 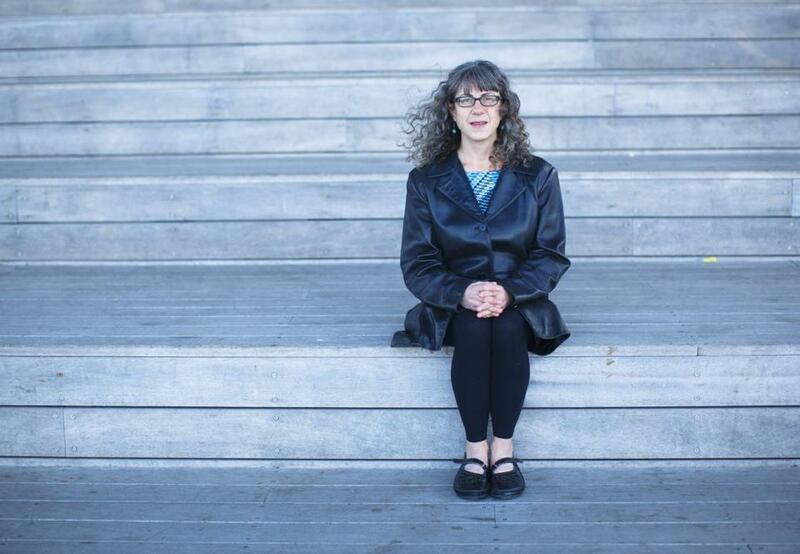 “I instantly knew this was my home.” Now a composer, Epstein serves on the faculties of both the Berklee College of Music and Boston Conservatory, and her works are the subject of “Hypnagogia,” a new CD by Ludovico Ensemble. Its release is being celebrated at a Tuesday concert at Boston Conservatory, where two of its works are on the program. As is the experience of many other budding composers, Epstein’s perspective got some hard jolts in college (at the University of Iowa). None was bigger than that delivered by her ear-training teacher, David Lang, who would go on to found the composers’ collective Bang on a Can. At the time — the late 1970s — the closest thing to contemporary music she’d encountered were works by Hindemith and Stravinsky. Feldman’s spirit left its mark on Epstein. Though not written on Feldman’s epic scale, her works — such as “Bloom,” an English horn concerto written for the BSO’s Robert Sheena — are generally slow-moving, their structure and intentionality hidden beneath sounds that are open-ended and ambiguous. Epstein likes to say that if she had had any talent for the visual arts she would have gone in that direction, and that many of her compositions are best heard as aural paintings rather than as unfolding narratives. Epstein almost never writes at the piano, and she never uses a computer. “I just hear it in my head and write it,” she said. “And the older I get and the more I do it, the more accurate I get. But there’s always a little gap between what you imagine in your head and the way it’s really going to sound.